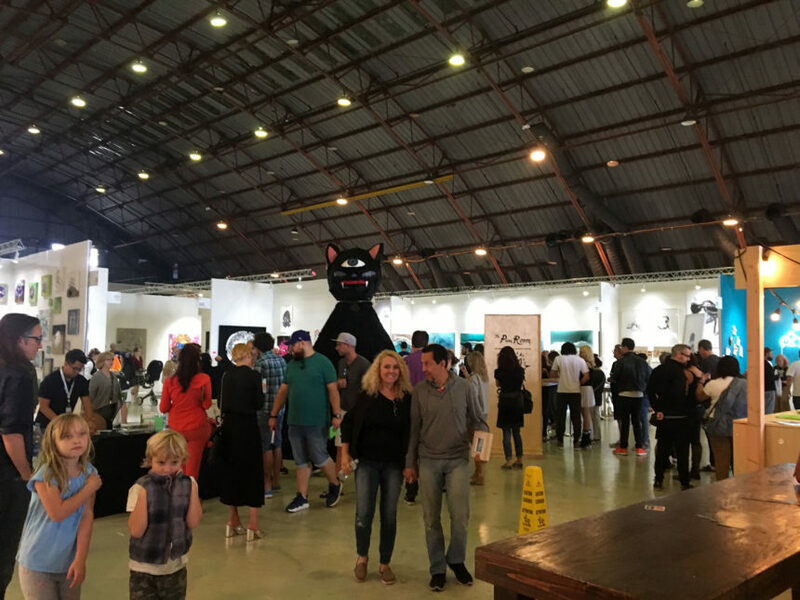 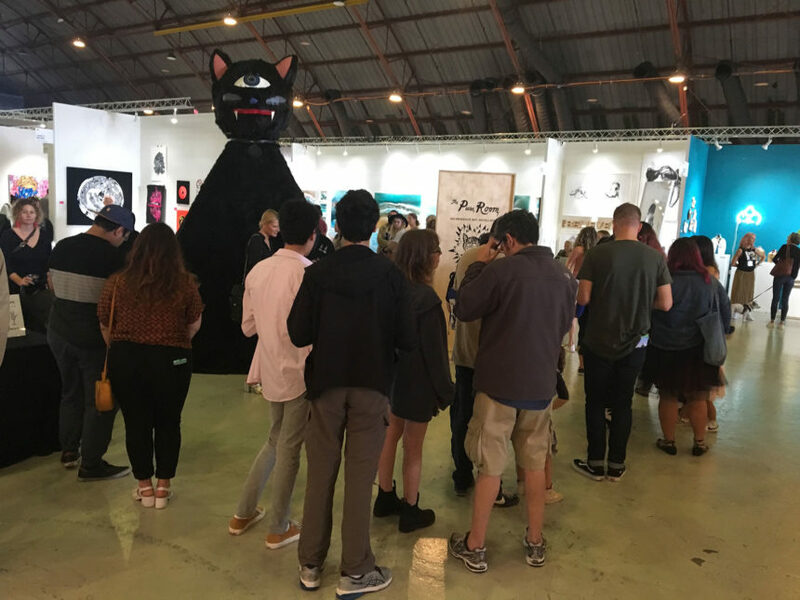 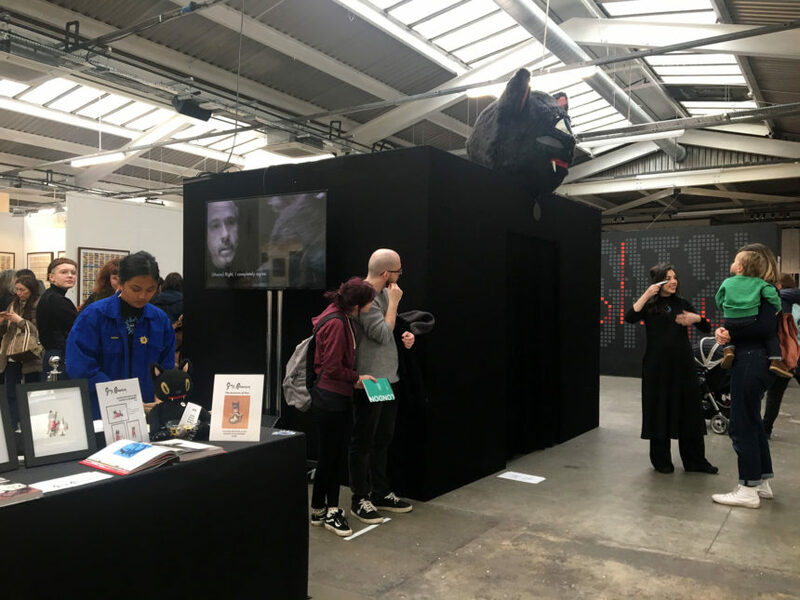 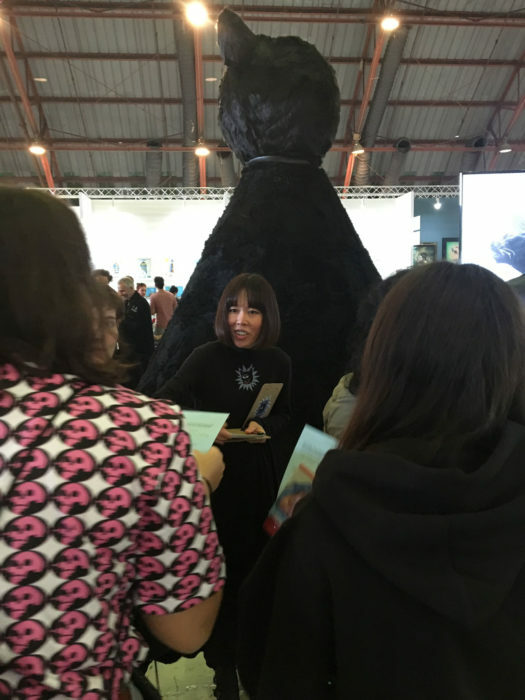 Following his Guest Artist appearance at The Other Art Fair Los Angeles in October 2018, Gary Baseman continued traveling the Purr Room to The Other Art Fair London this past March 2019. 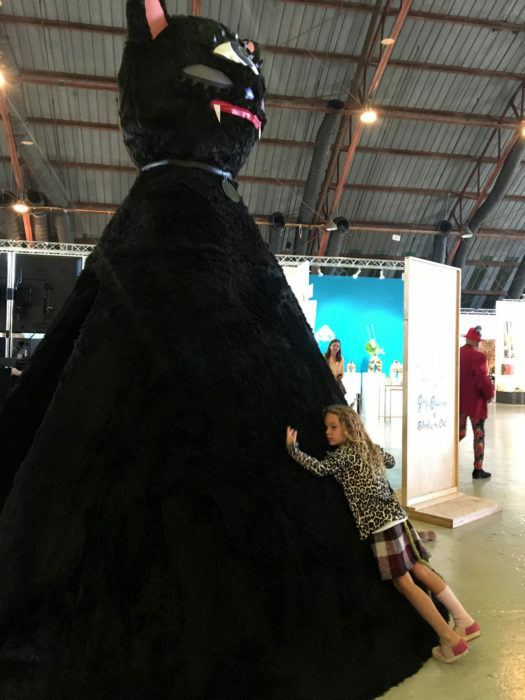 As part of this immersive art installation, the artist encourages attendees to reflect upon what hurts, what matters, and what heals. 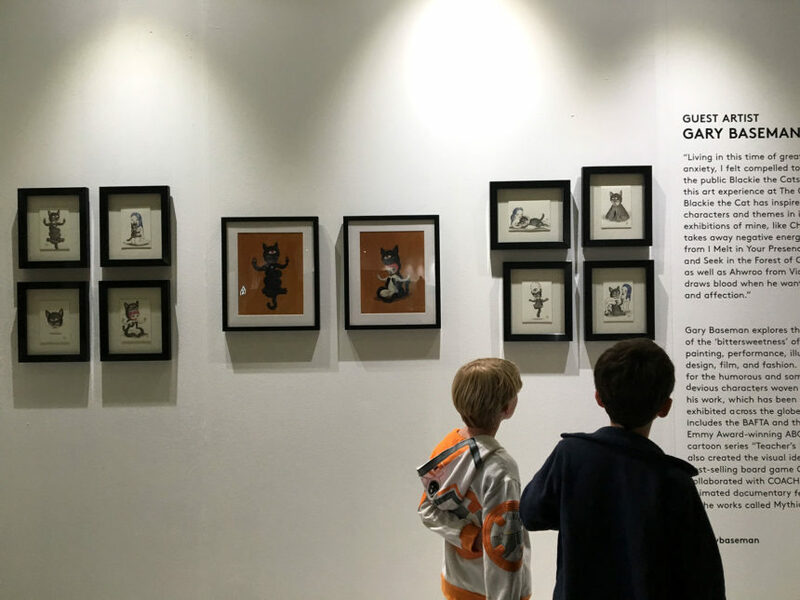 Before entering the Purr Room, visitors are asked to pause and think about who they love unconditionally, what a hug feels like, and to draw a favorite pet. 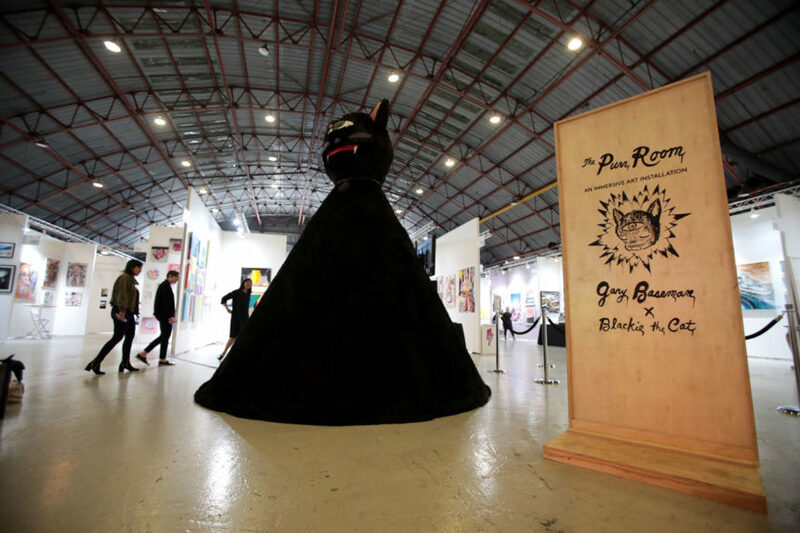 After this orientation, a single person or small group enter The Purr Room to listen and feel the “power of purr.” If you are interested in bringing this immersive experience to your city or country, please contact Baseman Studio here.